Rainy Monday morning Peoria greetings to all! I can’t tell you how good it is to be back home in Peoria!!! I’ve been on the road for the past three weeks on different shoots, so it’s going to be very nice sleeping in my own bed for awhile!!!! After shooting in Tucson a week ago, I was able to hit a couple of favorite spots on the way home to shoot some nature photography. As always shooting out West is very special to me and a few of these places are very spiritual and I can can see why the Indians held them in such high reverence! 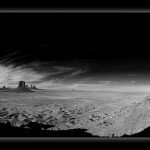 Monument Valley, Arizona is one of those special places for me. I’ve been there a number of times shooting and it’s always different every time. I see new things shooting at different times of the day and shots like the one I’m sending along are new ones for me. For my friends in the US, this week is Thanksgiving, so I hope that if you are traveling for the holiday, you have a very safe and wonderful time!